We are a prestigious organization involved in providing a premium quality Fountain Pens. Our presented range is designed under strict guidance of our talented experts as per set guidelines of the industry. 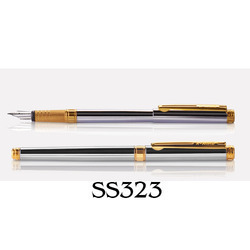 Ours is an eminent organization, which is engaged in offering a wide range of Premium Range Fountain Pens. Demanded in corporate offices, schools, banks and other places, our offered pens can be availed at industry leading prices. Widely demanded by official consumers, these Pierre Cardin Exclusive Fountain Pens are damage resistant and scratch free in nature. Moreover to this, these presented products are light in weight and accessible from market in various options. These offered fountain pens are present in market at genuine price. Ink Pen has fine nib and its cute design, suitable for students and young professionals. 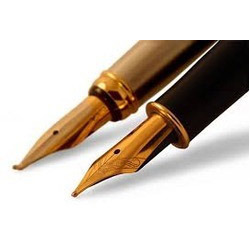 In order to retain our goodwill in this industry, we are providing a latest array of Fountain Pen.